At Independent Network Consulting, our goal is to service our client's many needs with professionalism and integrity. With over 30 years of industry experience, our vast knowledge of many diverse technologies allows us to provide seamless system integration. Independent Network Consulting focuses on the small to medium business. Our clients range in size from two to two hundred users with diverse environments and needs. We take the time to listen to the needs of the smaller business and develop solutions to fulfill those needs. In catering to the small business, we understand the need for value. We take pride in supplying our clients with right-sized quality solutions that emphasize value. We also understand the growth potential of the small business community. With this potential for growth, we work to ensure that today's solution can grow to meet tomorrows needs. Our services include file and print services, secure remote access, data integrity and backup, email internet access. And most anything in-between. 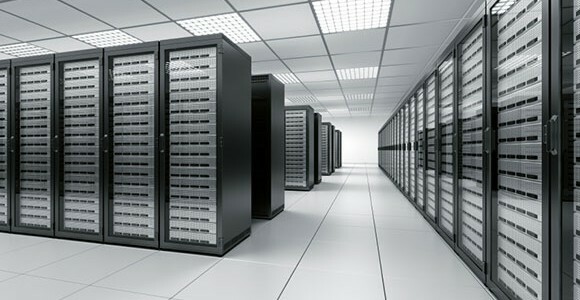 We host our own Tier 2 Level Data Center so whether your needs are complex or just a simple system checkup, Independent Network Consulting is your partner of choice in the IT field. We strive to add value to your IT dollar. Let Us show just how easy it is to have all the high tech of big business on a small business budget. I graduated in 1992 from the University of Illinois at Chicago (UIC). Go Flames. I majored in business management. But after college, I got a job building a new device called the personal computer (PC). We took generic parts and ended up with a "Clone" IBM PC. But, my future was connecting PCs together to form a "network". I spent many years educating myself to all the new technologies. Starting with several basic industry certifications, I worked as a staff engineer at a large system integrator. I learned as much as possible and attained some titles. CCNA, MCSE+I, ASE, CNA, CCA. I am a firm believer in vendor certifications combined with real-world experience of deploying the applications. I built many great relationships along the way that still exist today. With this confidence and knowledge, it was time for me to take the helm. So in 2002, I started my own consulting firm. Independent because we deploy many diverse technologies from a vast array of unique vendors. We have been going strong for 14 years now and continue to provide custom solutions.